Scars are a natural skin reaction when the body has been injured or damaged. Falling down and scraping the knees or elbows, surgery needed after breaking a bone, or an injury caused by an object or tool are all common scars. Many people view scars from these incidents as “battle signs” and they are proud of the stories behind them. However, there are some scars that are quite personal and devastating. Scars that occur on the face are often not easy to conceal, and they can cause those inflicted to feel self-conscious and embarrassed. Many facial scars are a result of severe acne from teenage or young adult years; however, many people have facial scarring as a result of tragedy or deformity. 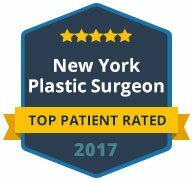 Dr. Maurice Khosh, MD, in Manhattan is dedicated to provide individualized treatment for those who wish to have facial scar revision. Dr. Khosh offers the most precise surgical scar revision to erase the scars that bring about emotional pain. Poor healing of the skin, picking at acne blemishes, car accidents, and even being attacked are the most common causes of facial scarring. Some scars heal almost unperceivably, yet there are some that remain visible and even become more disfiguring over time. Scars can be raised, recessed, differ in texture or color from the surrounding skin, and can be any shape or size. Those with darker skin pigmentation are more susceptible to developing larger and disfiguring scars than those with fair skin. All scars occur on an individualized basis, and there is no sure way to determine how someone’s skin will react to healing and developing scars. 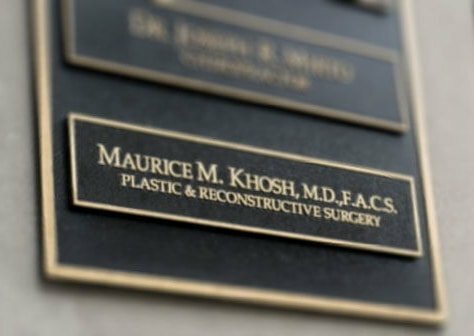 Dr. Maurice Khosh, MD, is an expert in facial scar revision. His expertise has allowed many patients to achieve outstanding success in repairing the appearance of their face through scar revision. The skin at the ears, jaw line, shoulders, neck, and central chest is predisposed to developing keloid scars that can be troublesome due to their aesthetic effects and the functional disturbance that they can cause. 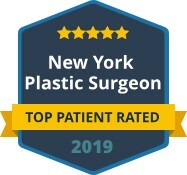 If you have any type of scar on your face or upper body that you are bothered by, please contact Dr. Khosh in Manhattan to schedule a consultation to address your concerns.